As most of us have probably heard by now, Spain won this year’s Miss World beauty pageant. Mireia Lalaguna Royo, from Barcelona, took home the title after the event was held at the Crown of Beauty Theatre in China. The university graduate beat a total of 113 women from across the globe, proving that you really can have both brains and beauty. Representing Russia, Sofia Nikitchuk, a 22-year-old university student from Yekaterinburg, was the runner up. Third place went to Miss World Indonesia, a 23 year old masters student, and fourth and fifth place were awarded to Miss World Jamaica and Miss World Lebanon. Whilst Miss World Scotland and Miss World Northern Ireland represented their countries in the top 20, Miss World England and Miss World Wales didn’t make it into the second round. However, controversy struck as one country was missing from the entire event. Back in November it was announced that Miss World Canada Anastasia Lin, a 25 year old Chinese-born actress, was barred from China. Despite having already been crowned Miss Canada, Lin was neatly left out of the show and removed from the Miss World website, without even a mention. 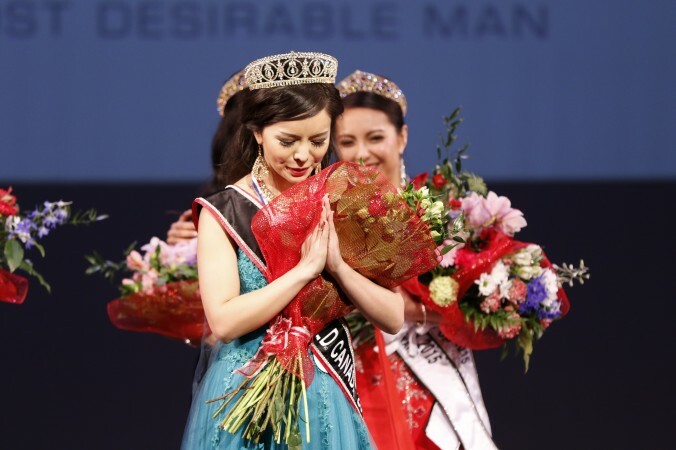 The story started back in May when Lin was crowned Miss World Canada. Using this platform, Lin became an outspoken critic of China’s religious and political policies, arguing against the countries repression and restrictive laws. She revealed she was a follower of the spiritual and meditative group Falun Gong, which is banned in China, and spoke of the brutal and violent suppression of this movement. As a result, Lin didn’t receive an invitation letter from the Chinese organisers of the Miss World event, meaning she couldn’t obtain a visa in advance. Speaking about the situation Lin stated “I was never given an explanation as to why I did not receive the letter. Under Chinese law, however, Canadian citizens are eligible to obtain a landing visa upon arrival in Sanya, so I decided to try attending anyway”. The Toronto-based Theatre Studies student then realised she was unable to board her connecting flight from Hong Kong, being told by a Chinese official over the telephone that she would not be granted a Visa upon arrival. She had previously aired her concerns that her rising profile made her a target for speaking out, with her suspicions that the event organisers had considered eliminating her from the competition. Lin has recently claimed that after her ‘coronation’ of Miss World Canada, Chinese security agents visited her father, who was still living in China, in an apparent attempt to threaten and intimidate him. Lin has since spoken out about the event. She explained “The slogan of the Miss World competition is: ‘Beauty with a purpose’. My purpose is to advocate for those who cannot speak for themselves – those who suffer in prisons and labour camps, or whose voices have been stifled by repression and censorship.” In a world of suppression, it can perhaps be acknowledged that Anastasia Lin is the true winner of Miss World. Now, all we can do is hope that Lin continues her great work and activism to help make China a free country.